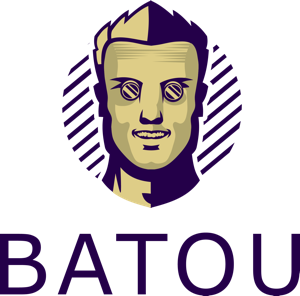 batou is a BSD licensed utility, written in Python, to configure development and production environments for web applications. Deployments are hard and complicated. Tools like Docker, Puppet, chef, and others exist that try to solve this problem once and for all. However, they usually need you to change your workflow or toolchain massively while still missing important steps. batou makes deployments more bearable without requiring developers to change their applications. It provides a “one command” approach that should never need additional wrapper scripts. With our component model you write a configuration specification in Python based on a simple API. Components make configuration convergent and idempotent and using Python lets you perform any computation you need. The component model is recursive, so you can refactor complicated components into simpler ones without breaking your setup. Your model from step 1 is abstract: it does not mention the names of the servers you deploy to. By describing an environment you tell batou how your abstract model should actually be applied: on your local development machine, to a vagrant setup, or on servers on the network. Here’s an environment specification that sets up an application on multiple hosts and provides an override for the publicly visible address. Run the same command to deploy locally, to Vagrant, or to remote clusters. Use different versions of batou in different projects. Ensure everybody uses the same version. Check before deploying whether your configuration is internally consistent and consistent with what has been deployed before. Convergent, idempotent components are fast to deploy. Resume partial deployments where they were aborted. Store database passwords, SSH keys, SSL certificates or other secret data with on the-fly decryption. Manage access to secrets per environment and user. Use Jinja2 templates to easily create dynamic configuration. Dynamically connect services during deployments and track their dependencies. Few run-time requirements on your servers: only Python 2.7 and SSH are needed. Use pre-defined components to manage files, python environments, supervisor, cronjobs, and more. Writing your own components is easy and you can use additional Python package dependencies. This part of the documentation, begins with some background information about Requests, then focuses on step-by-step instructions for getting the most out of batou. batou itself is released “as is”. We hang around #batou in the Freenode IRC network. You can also report bugs to our bugtracker. We will be happy to give you commercial support for batou: feature implementation, bug fixing, consulting, or education. To get in touch, send an email to mail@flyingcircus.io and we’ll be happy to discuss your requirements.